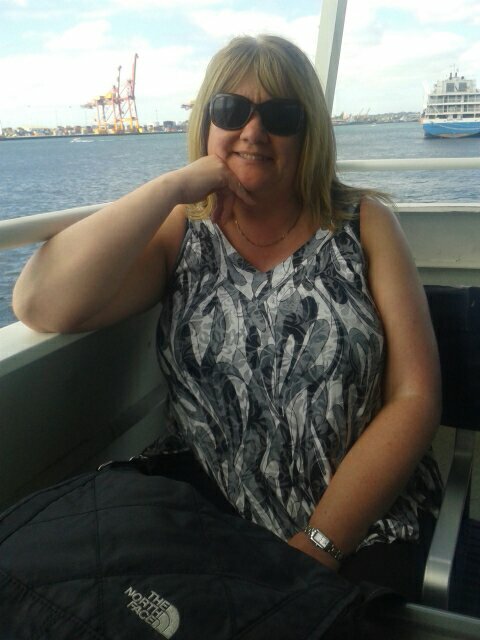 Dean and Kerry's Great Oz Adventure | Christmas with the convicts…. I believe it was Robert Louis Stevenson who said “To travel hopefully is a better thing than to arrive.” Clearly he never flew Economy Class with Emirates. But we’re home…and it feels good. 1) Australia is a diverse and beautiful place. You should all make the effort and visit. Australians are great people…I only wish they wouldn’t mention the cricket. 2) We are fortunate to have so many great friends. Not just those we’ve met on this holiday (and who we miss) but also those of you who have been reading this blog. 4) Penguins are the coolest creatures on earth. We would like to buy one. 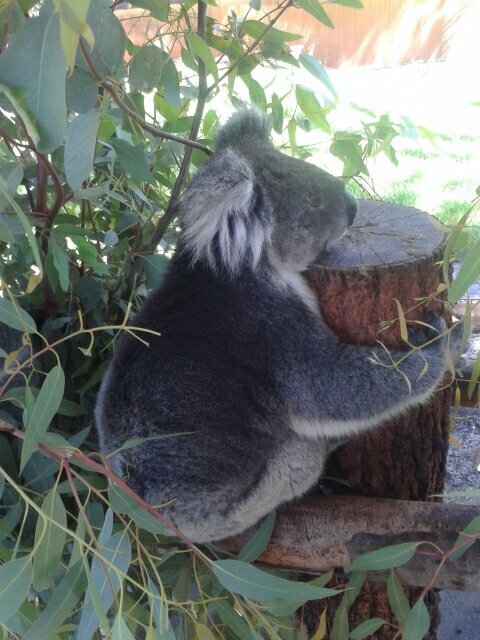 And a koala. And a python. 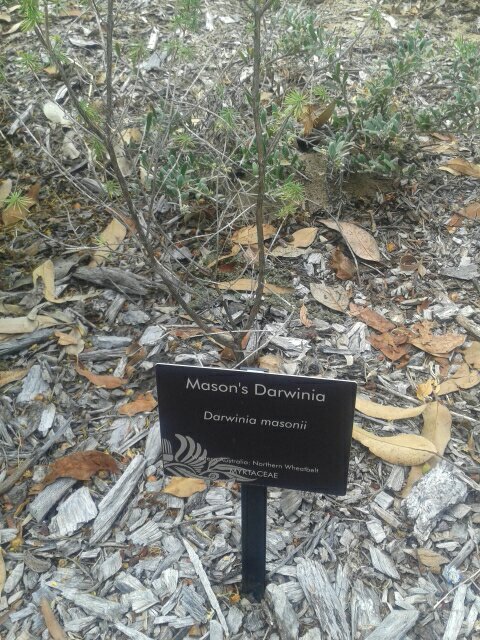 But not a wombat. 5) Never ever try and be clever by taking two large cases on an escalator! So that’s the end of our holiday blog. Many thanks to all of you for reading and contributing but mostly thanks to Kerry for doing all the planning, arranging and putting up with my incessant weather bulletins. 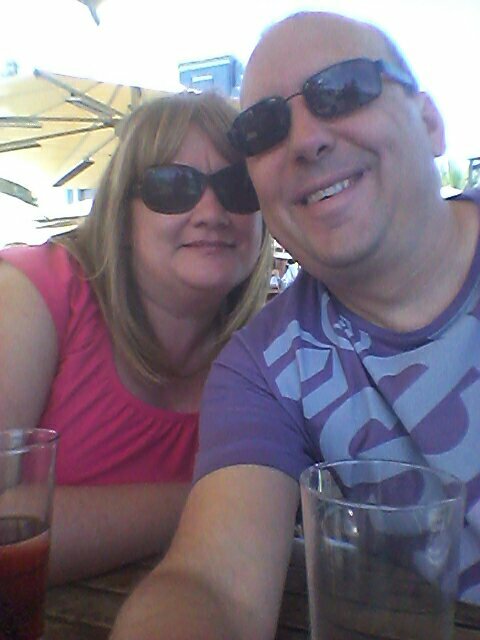 So we’re back in Dubai, four weeks after we sat here full of excitement, hope and cottage pie. 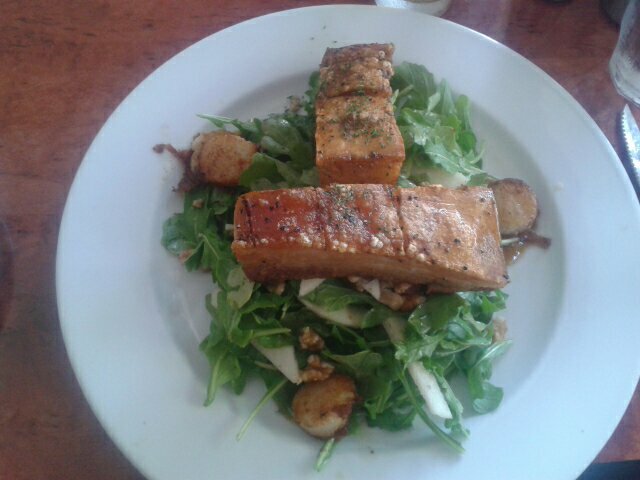 This time it feels a little different but that could be because we had the salmon. We have just completed the first leg of our return and it’s not as much fun in economy. But that’s 11 hours behind us and if all goes well we should be back in Rothley in…ooh…about another 12. We decided to write this blog for two reasons. Firstly, as a future aide-memoire for us to look back on and secondly as a means to feel closer to our family and friends. I would like to think its worked out better than I imagined as we’ve had a shade under two thousand views. So that’s all for now folks. Expect a round up over the next day or so once we’ve slept. So the sands of time gently ooze away from another holiday. The last day can go one of two ways. It can either be a huge anti climax where you realise it can’t possibly compete with the weeks before it or…. Today started early, about 7am as we were picked up and taken to the Lucky Shag! 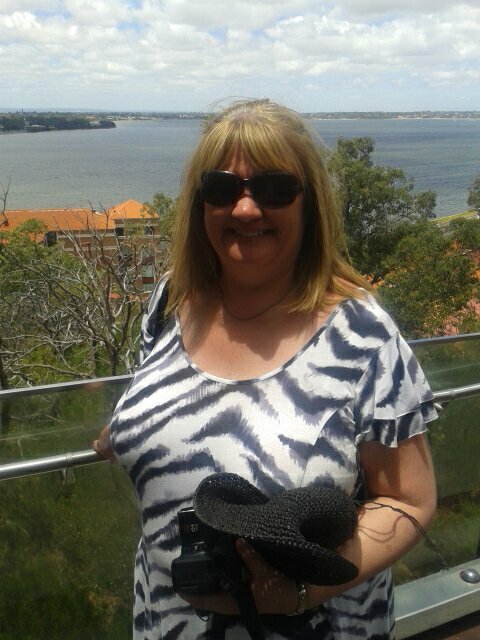 This was going to be a tour of two halves the first being a trip around the centre of Perth, a visit to Kings Park (which we did yesterday), a tour of Fremantle (which we did on Tuesday) and then a ferry trip back (again…did it on Tuesday). You may think we were bored but you’d be wrong. We picked up loads of extra knowledge as the driver (Chris) was such a top bloke. 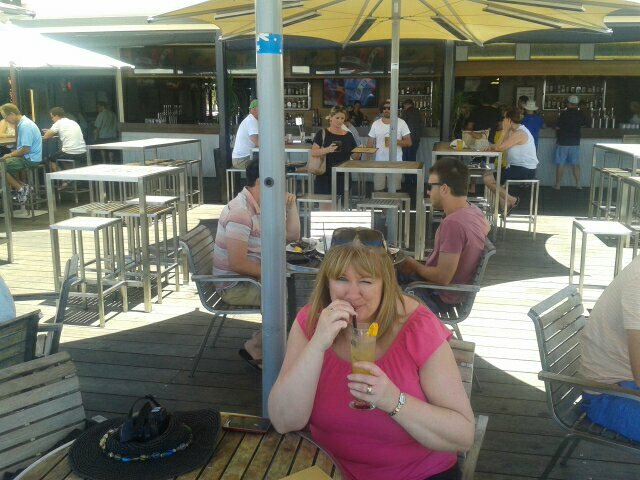 We arrived back at lunchtime (to the Lucky Shag) whereupon he told us that our favourite bar was actually where the Barmy Army are based when in Perth. Back on the bus we headed inland to the Swan Valley by which tkme Chris was pretty much giving us our own commentary as no one else spoke much English. 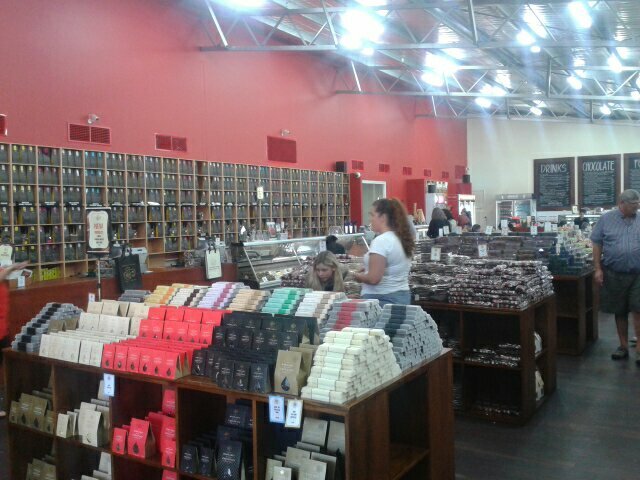 First stop…the Margaret River Chocolate Co. All tours seem to include a trip to a chocolate outlet! Just what you need on a perfect day…not a cloud to be seen anywhere. Did we buy any? Errr…perhaps. Will we save you some? Errr…perhaps not. 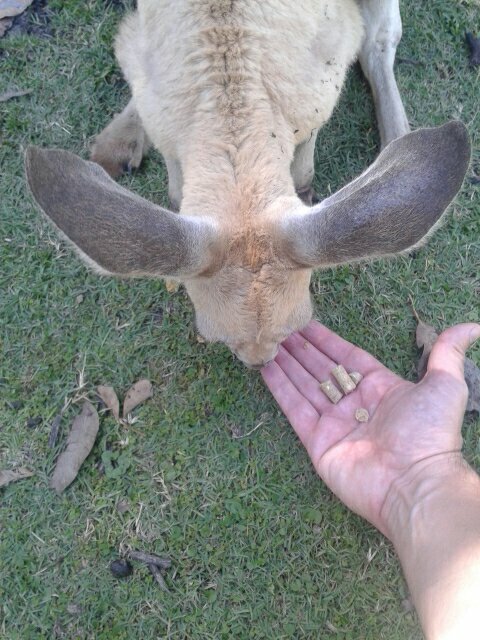 Next stop was the Caversham Wildlife Park to feed some kangaroos. . I then had a play with a python before the obligatory photo opp with an ugly fat marsupial as you can see below. 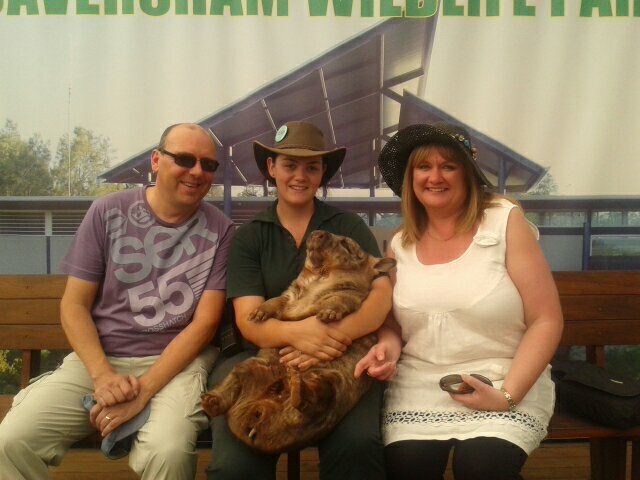 There’s also a wombat in the photo! Surely that’s enough I hear you cry. Nope. Off we went to a winery in order to try some of their produce which is where it gets a bit hazy. However, I am sure we ended up talking to a woman who used to live in Market Harborough who gave us her address and the owner, who although local, knew everything about Crystal Palace. 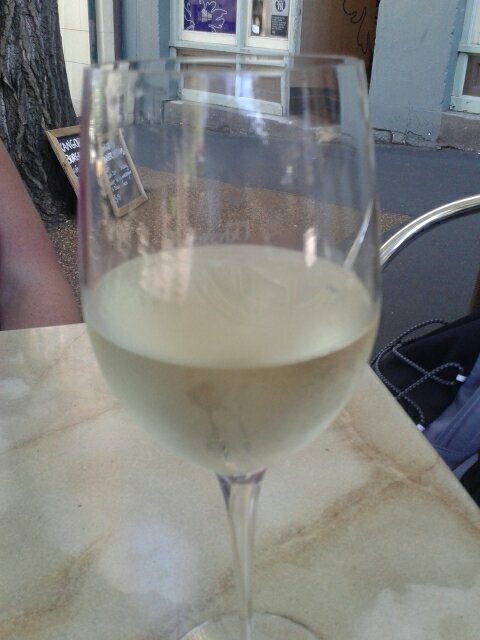 The wine wasn’t bad either so I…errr…may have bought some. 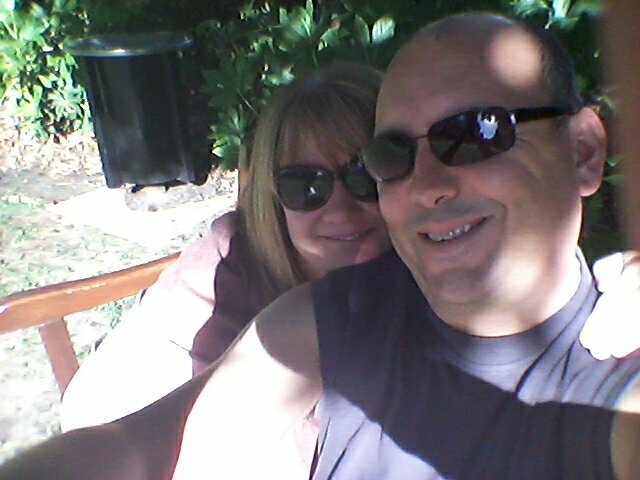 On the way back Kerry demanded that Chris stop outside Sandalford wines for a photo. When I say demanded I mean she shouted “Stop now!” very loudly. He had little choice. So we’re halfway through packing and have had our final Aussie meal which in keeping with the rest of our bizarre day was in the sterile surrounds of the hotel conference suite as the restaurant is being refurbished. What a weird yet utterly brilliant day and the perfect way to end an amazing month. If I can get wifi at the airport I promise you one final blog post. If not…we’ll be seeing you soon. What do you mean you don’t know the song? Everyone does don’t they..well guess what? 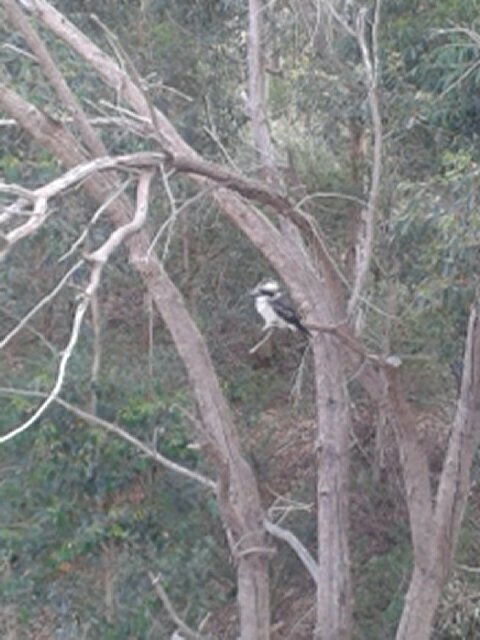 This is a kookaburra sitting in a gum tree although I can’t vouch for the age of the tree. After an interruption-free night we took the free CAT bus (yes free!) 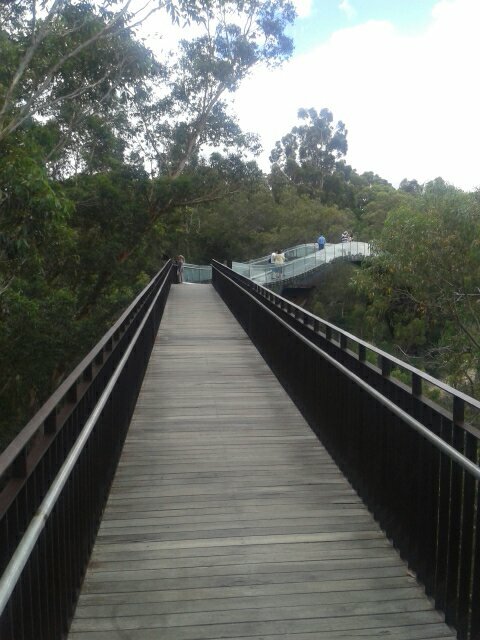 up to Kings Park which is a large area of gardens overlooking Perth and the river. 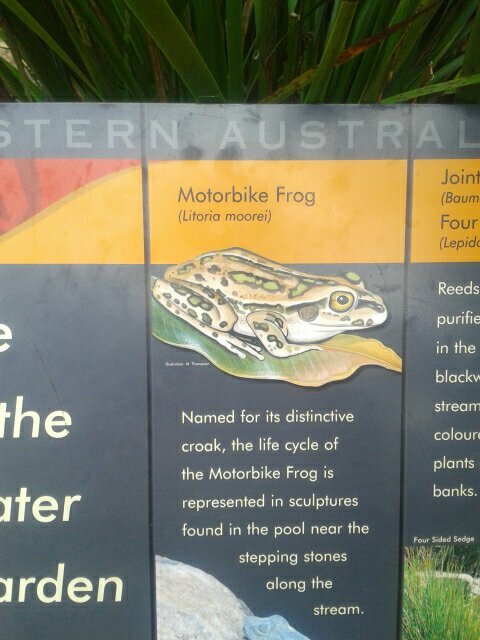 …not to mention the local inhabitants! 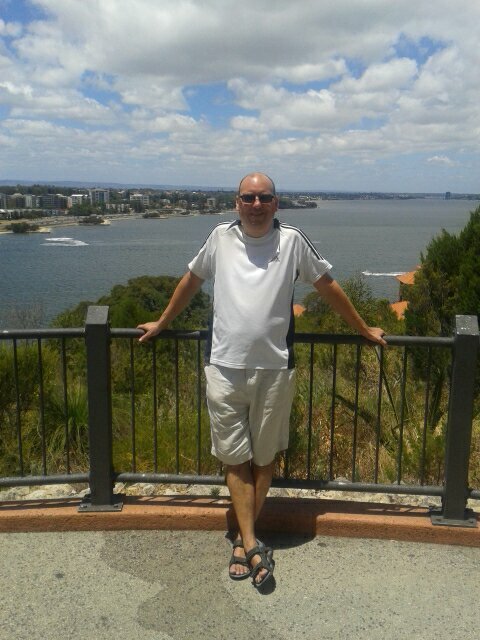 Want another view of Perth from this vantage point? Oh ok then.. This really should have been where we came to watch fireworks, if only we’d known. Back on the free bus to the hotel we decided to sit by the hotel pool for a couple of hours as the weather improved. 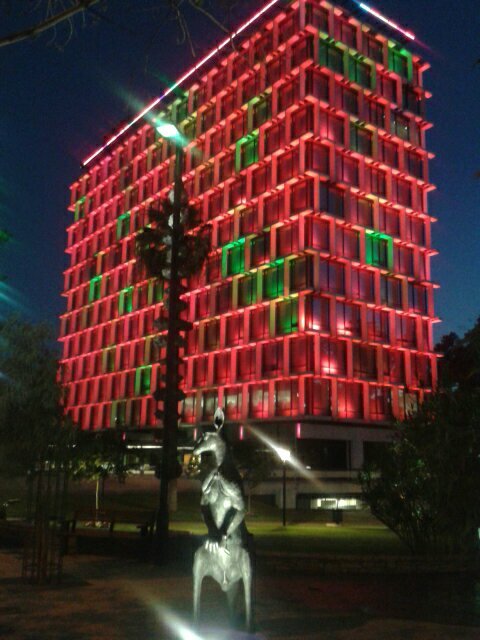 This evening we took yet another free bus to the Northbridge area of the city to have a look at a different part of Perth. We also happened upon Jamie Olivers restaurant. ..how many does the guy need? 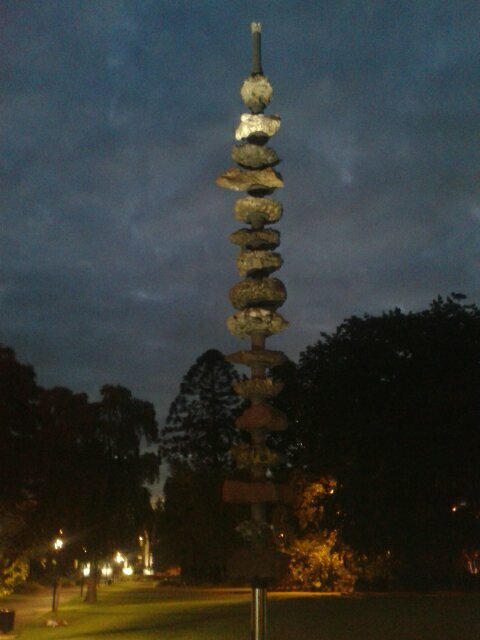 We also had a look at some of the public sculpture which seems to be popular in all the cities weve visited. 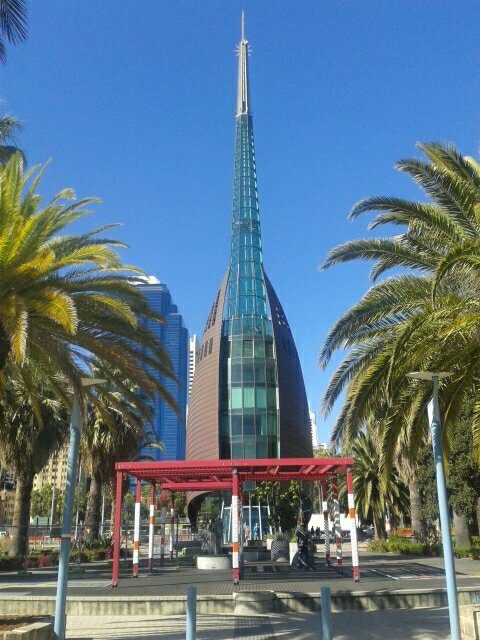 Perth is better than most although this looks like a kebab to me. Finally we headed down to the Lucky Shag (where else?) and reflected on the last few amazing weeks. One downside, we had to listen to the resident ‘musician’ absolutely murder ‘Angels’ although seems about par for this city. Already we’ve had to put up with a terrible ‘Dancing in the Dark’ and some pan pipe musicians doing ‘Hotel California’. Tomorrow is our final day. Oh. Some days you try your hardest to enjoy yourself and it just doesn’t come off. 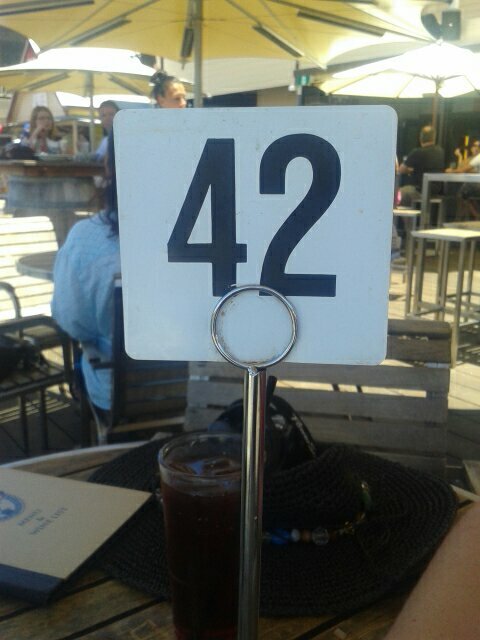 Conversely, other days you just get out of bed and the world is in perfect alignment. Today has been one of those. Clearly word had got out about my meeting with Emile Heskey and now everyone wants to get in on the act. Do you know this is? No of course you don’t but that’s cos I didnt dare venture any closer to take a photo. We stumbled across these young girls in matching outfits in a local park. Once again, being an anorak, I clocked that they were the womens England cricket team. We do have more close -up pics but I made Kerry take these so I didn’t get arrested for taking photos of young girls! After that excitement what better way to relax than the Lucky Shag? Oh honestly, grow up! 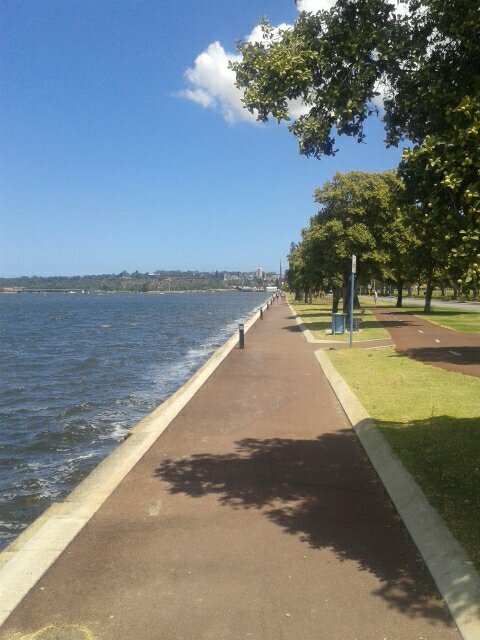 We spent over three hours sat outside this delightful bar by the side of the Swan River under blue skies doing…well…nothing really. Apart from eating and drinking. Is there a better way to start the year? Suffice to say we felt very relaxed…so much so that I dozed off in the park. Lunchtime drinking eh? 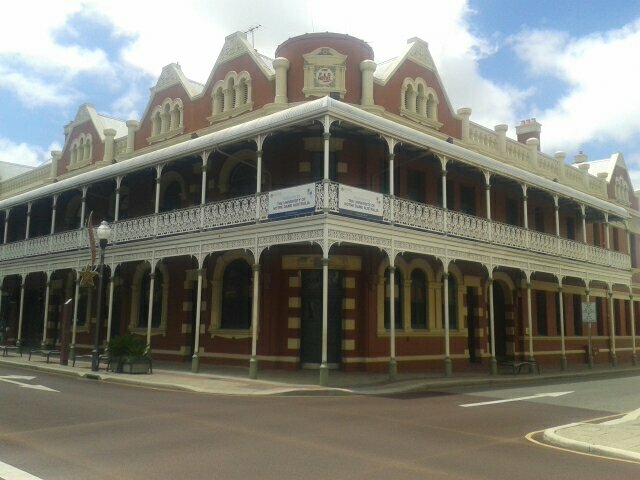 By the time we had wandered aimlessly around the centre of Perth for a bit it was time for an afternoon nap back at the hotel but not before we had hatched a plan regarding our room. We complained as vehemently as two English people can and for the third time on this trip we got a room change…with a bigger bed too. Result. and we opted to spend the evening back at the Lucky Shag and arrived just in time to see a fantastic firework display across the river. Like I said, some days just work out. Tomorrow its forecast to rain…yes seriously. 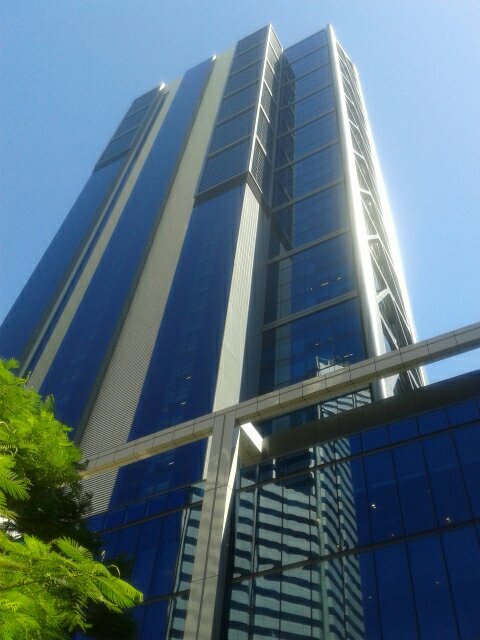 In Perth. Bloody cyclones. But do we care? Nah. First and foremost, a very Happy New Year to all of you…family, friends and random strangers who stumbled across this blog. As I type this it is now 2014 in many of the places we’ve been but we still have a couple of hours to go yet. Today we both admitted we’re ready to come home. Living out of a suitcase takes its toll eventually and we’re ready for our home comforts…not least because we can’t sleep with the noise next door. 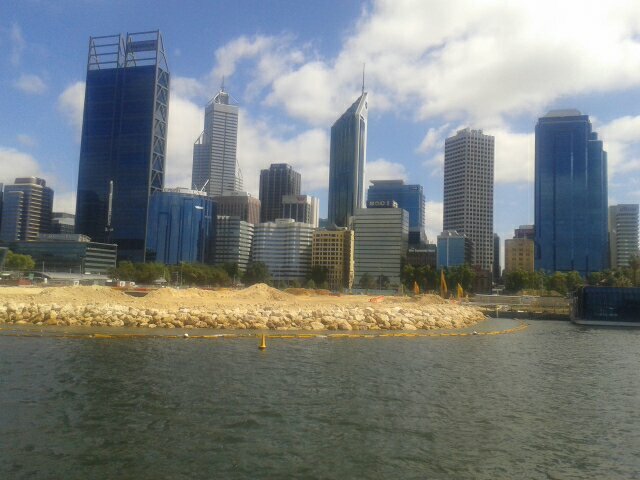 Perth is supposed to be very hot, 95 degrees plus but due to a category 3 cyclone up the coast the weather is unseasonably cool. We docked at Fremantle, another of those ‘must see’ places people talk about. Its nice, not great, nice. 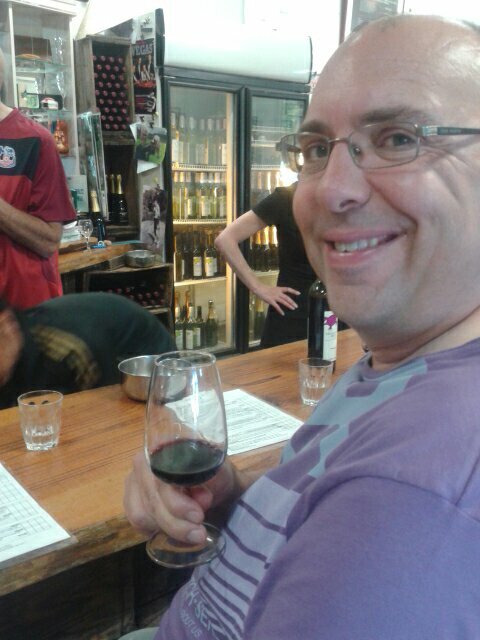 I declined the wine tasting on the return trip (alcohol and boats rarely mix well). 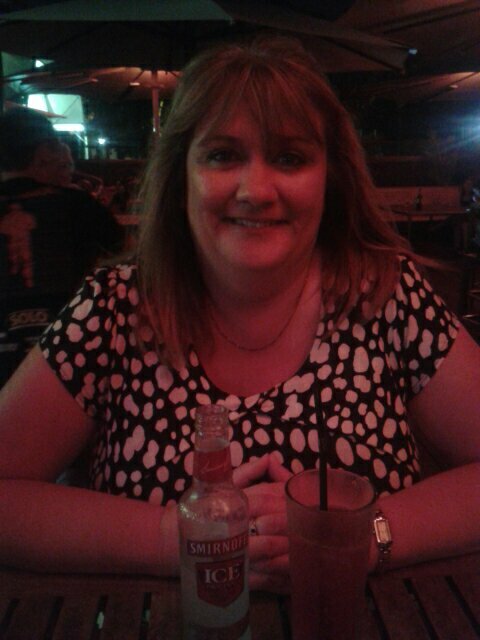 This evening has been spent listening to the ‘music’ coming from next doors room and then a couple of drinks in the bar. Although if next door don’t keep the noise down you’ll be seeing the fireworks from Leics. 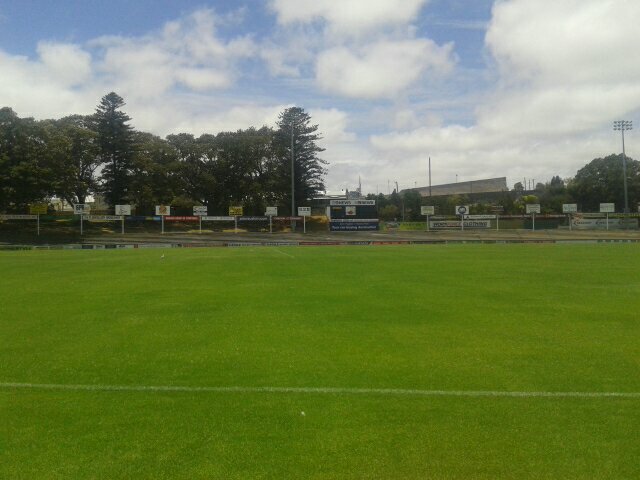 So that was Adelaide then. 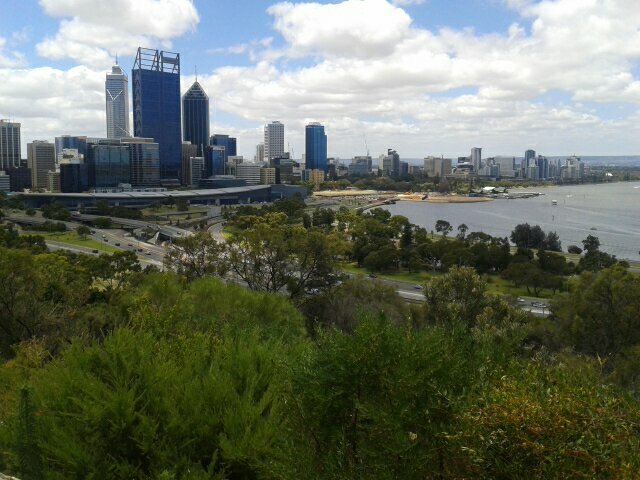 Whilst we loved the city we were both desperate to leave our windowless prison behind and barring any further escalator related incidents, head over for a look at Perth. 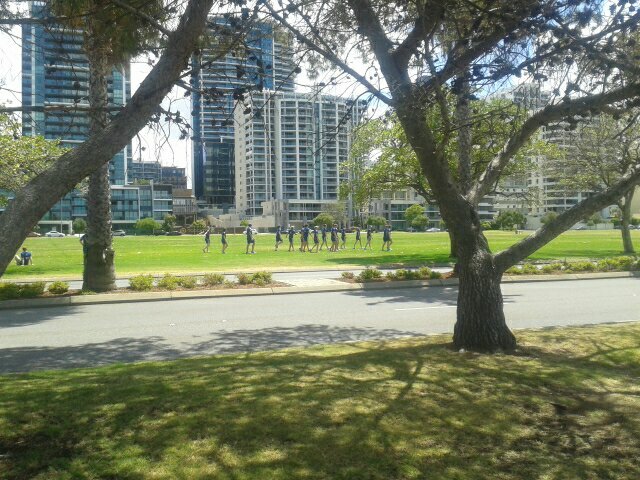 However, whilst mooching around Adelaide airport I noticed a group of men in matching tracksuits. Being the sporting anorak that I am, I recognised the badge as that of football team Newcastle Jets who had played the previous night. Now I only know one of their team so went on a hunt round the airport to find him. Five minutes later there he was…trying on sunglasses! I introduced myself and spent the next ten minutes deep in conversation with Emile Heskey…and what a genuinely nice bloke he is too. Three hours fourteen minutes later (or 1307 miles if you prefer) we landed in Perth, the most remote city in Australia and home to some of my favourite wine producers. 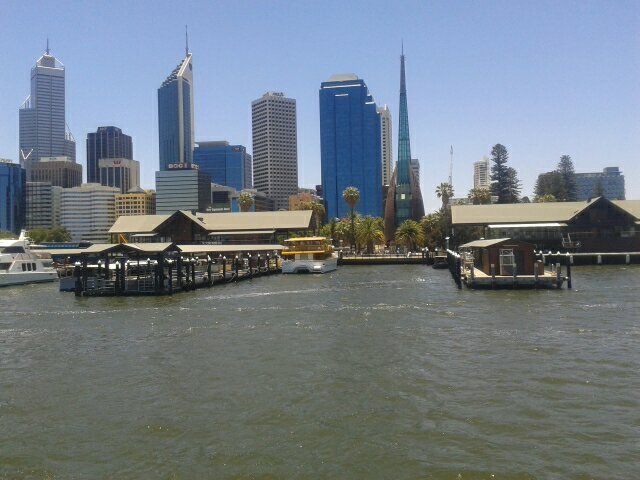 But this is pretty much what downtown Perth looks like. Lots of new high rises which is in stark contrast to Adelaide. Oh…and it was hot. 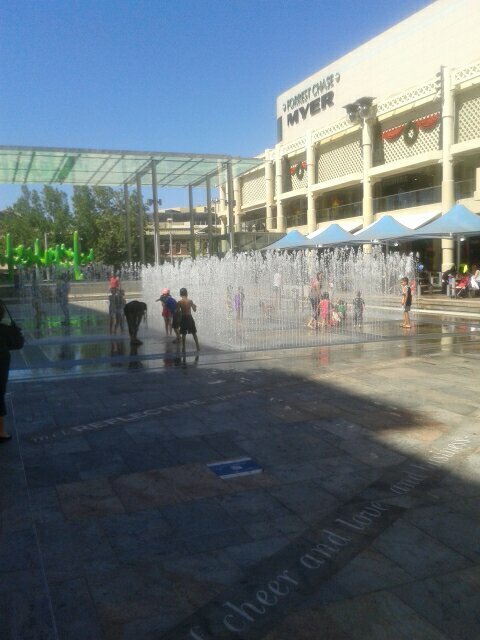 So hot that the locals took refuge in fountains to cool themselves down. 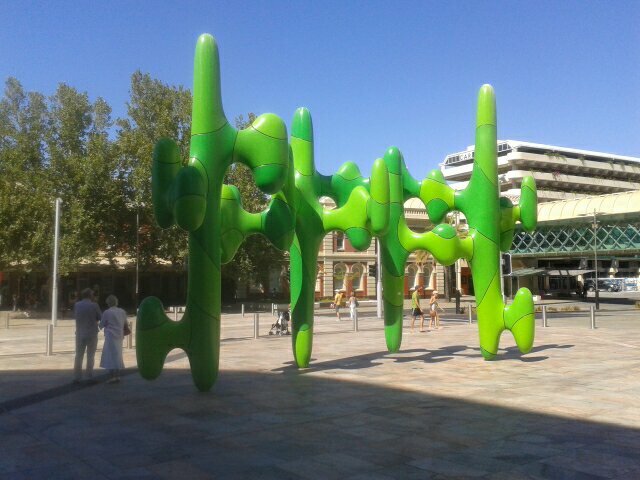 And of course, you always need a giant cactus. So we’ve had a quick look round and made some plans for the next few days…many of which involve wine. We’re now over three weeks into this amazing odyssey but home is looming on the horizon.